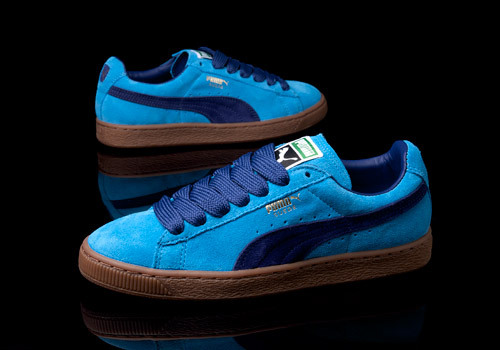 Originally created in 1968, the PUMA Suede is one silhouette that old school trainer lovers will likely never forget. 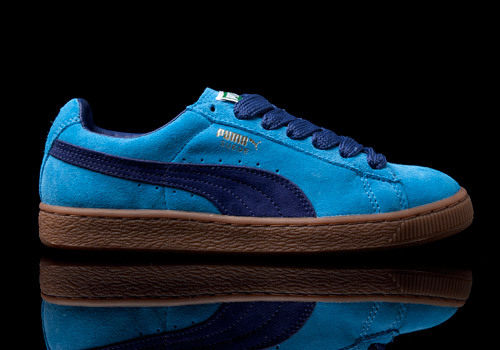 And neither will the big cats themselves, pushing out countless colorways and a variety of special remakes over the years since the model’s debut. 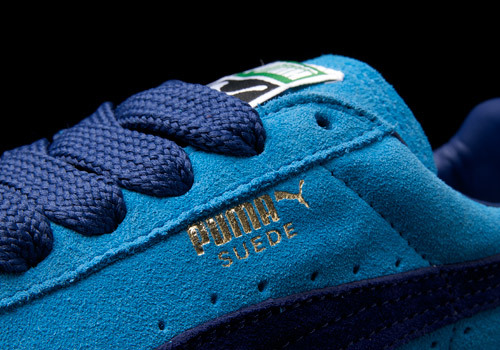 In the Fall of 2011 PUMA dropped a re-issue of the Suede entitled the Suede Classic Eco in numerous colorways. 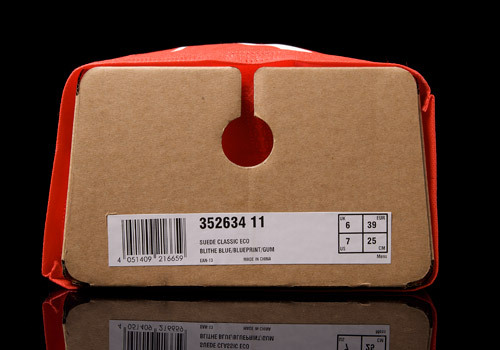 The idea behind the modified name is nearly self-explanatory; it signifies a throw back to the ‘good old days’ but with an added mindset more suitable to a sustainable future, building the shoes with an environmentally friendly process in mind. 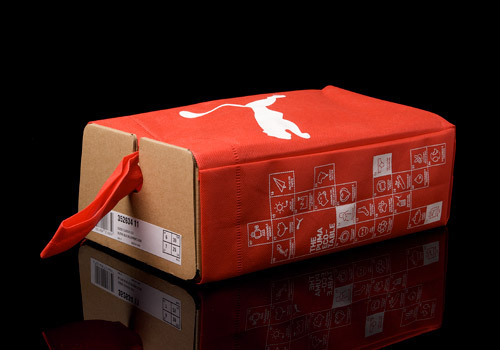 Along that line it’s no surprise they come packaged in PUMA’s so-called “Clever Little Bag” (aka CLB), a packaging idea that – while it certainly does provide a mindful use of materials and reduce the waste that goes into materialistic production of trainers – certainly has potential to frustrate footwear fiends who are more accustomed to the typical shoe box style container. 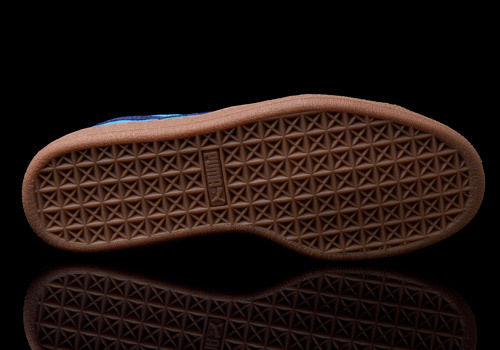 But boxes aside this shoe is magnificent. 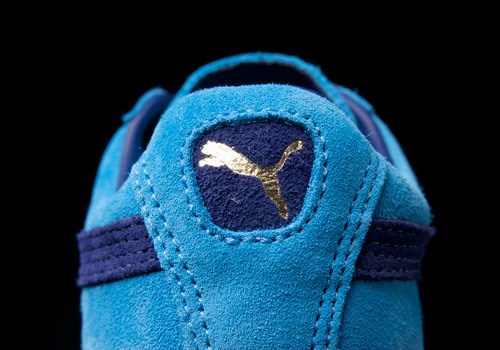 A bright, lush colorway composed of blithe blue, blueprint, and a gum outsole. 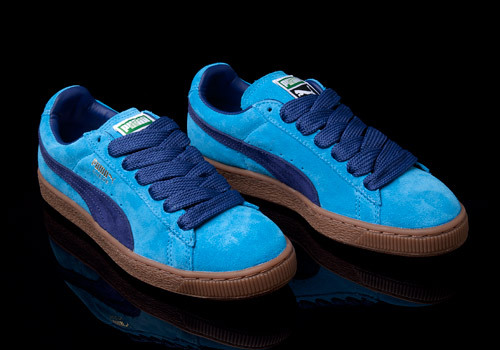 When it comes to suede PUMA is the stand alone king, marking these nearly edible shoes with the softest of surface texture. 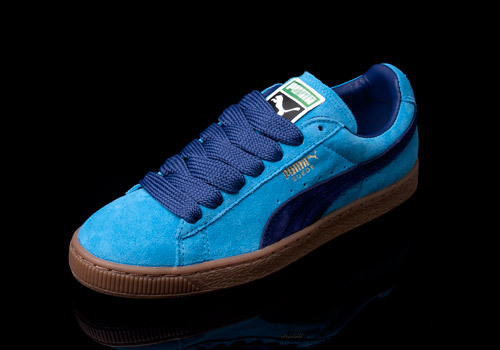 The classic fat laces really complete the package and push the casual, killer look that PUMA was known for back in the day. What more can we say? 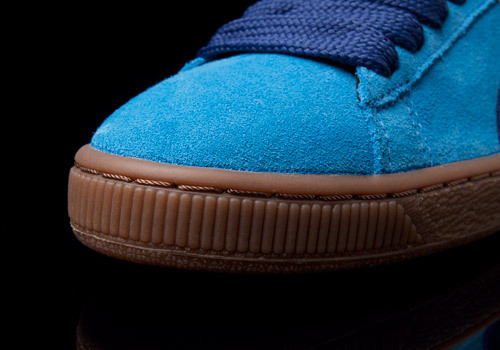 If you missed out on the Suede craze in the golden era of trainers then this might be an affordable pair to get your jones going in the 21st century.